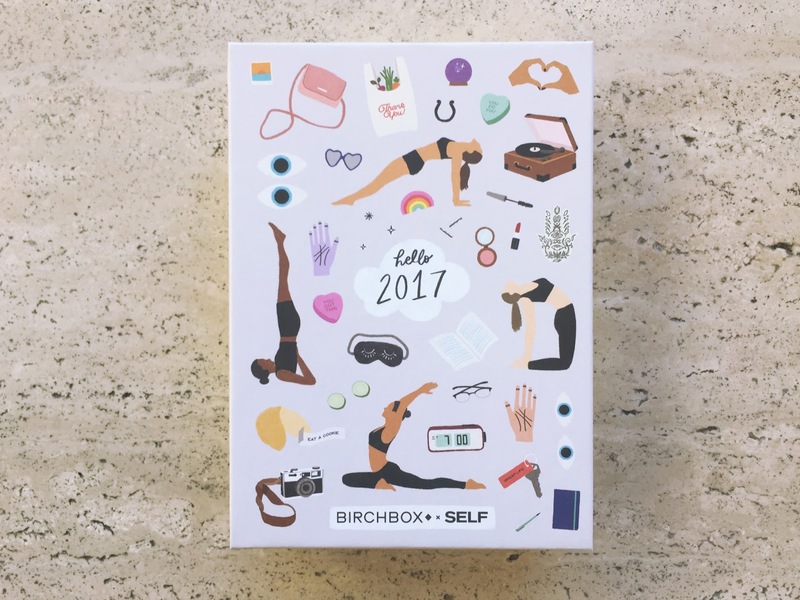 This month Birchbox partnered up with SELF Magazine to curate a box that makes you feel "like the greatest version of your (already great) self." 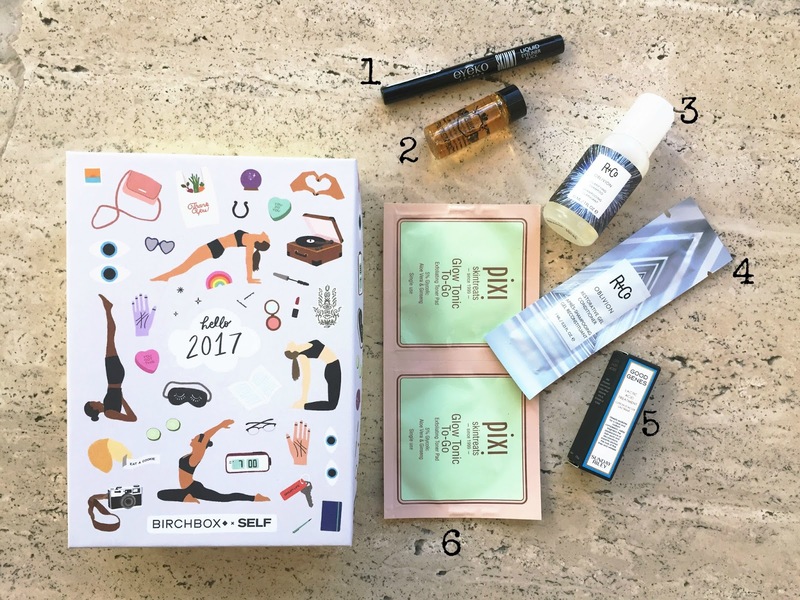 Because I am a grump, I rolled my eyes at that line and assumed that my January Birchbox would be a dud. But I think this is my favorite box yet. Eyeko Skinny Liquid Eyeliner, $22- Eyeko is no stranger to me. I've been using this brand for years now and this eyeliner is probably my second-favorite liquid eyeliner. 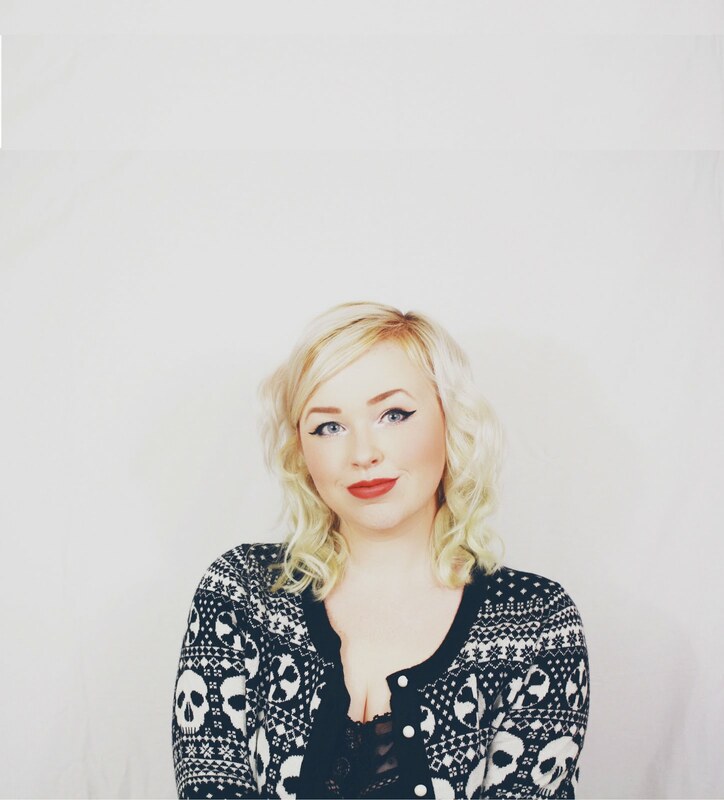 It used to be my very favorite until Kat Von D's Tattoo Liner came along (which I talked about in my 2016 Favorites post). This liner is super easy to apply and makes sharp lines but I've found that it doesn't last as well as the Tattoo Liner. 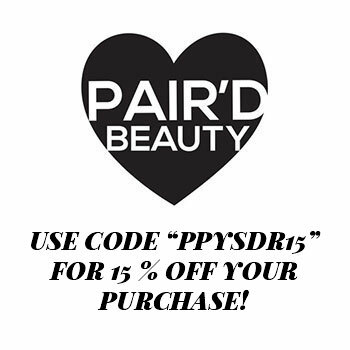 It's still a great eyeliner that is worth checking out! Beauty Protector Protect & Oil, $28- I'm a huge fan of Beauty Protector's Protect & Detangle spray, so I was really excited to try this out. Like the spray, it has the same great scent, a little goes a long way, and it leaves my hair feeling silky AF. I've been focusing this oil on the ends of my hair to provide a little more heat protection and smooth out the split ends. I'm not sure if I would purchase this since I usually use jojoba oil, which is much cheaper, and I'm pretty happy with the results I get from that. But the scent may be worth it. R+Co OBLIVION Clarifying Shampoo, $24- I'm pretty set with clarifying shampoos- I have a ton laying around and I only use them before coloring my hair. But ever since I received R+Co's ANALOG Cleansing Foam Conditioner in my November Birchbox, I've been dying to try more of their products. This shampoo smells great and lathered better than other clarifying shampoos I've used. It was just a pain to squeeze out of the bottle. It also dried my hair out a bit. R+Co OBLIVION Restorative Gel Conditioner, $25- This tiny sample size was just barely enough to coat my hair. It said to use after the clarifying shampoo and it would restore my hair, make it feel hydrated and soft again. I don't know if it just didn't work or if I didn't have enough of the product, because my hair felt like straw when I got out of the shower. Meh. Sunday Riley Good Genes All-In-One Lactic Acid Treatment, $105- This product claims to plump up fine lines, exfoliate skin, and generally make you look more radiant. The sample size is pretty small, I only got 6 uses out of it, but I really liked it. It made my face instantly feel so much smoother. I would love to purchase this and see what results I got from continued use, but $105 is more than I'm willing to spend on one face product. Pixi by Petra Glow Tonic To-Go, $18- I love toner pads like this, especially when traveling and I don't want to bring a big bottle of witch hazel toner with me. I only received two of these and I didn't notice anything particularly spectacular about them but I would buy them and give them another shot. Have you tried any of these products? 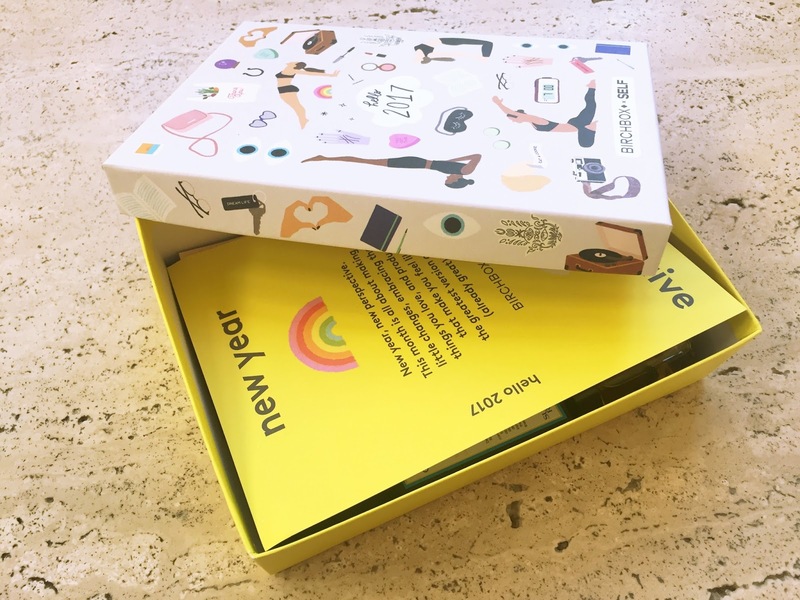 Want to join Birchbox?